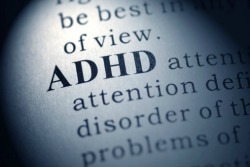 When it comes to ADHD, you may think it’s just a childhood brain disorder. But in reality, Attention Deficit Hyperactivity Disorder can impact adults too. In recent years there’s been a great deal of research surrounding ADHD. Medical professionals have been able to improve diagnostics, testing and treatment for those who struggle with hyperactivity. If you weren’t tested as a child but think you may have ADHD, it might not be too late to get help. McLane Children’s Scott & White pediatrician Bradley R. Berg, MD, PhD, FAAP, FACPE is the medical director in Round Rock and has a wealth of knowledge concerning ADHD and a number of childhood conditions. He answers some questions and clears up some misconceptions about ADHD. Do you test adults for ADHD? Dr. Lal is a McLane Children’s pediatrician at Scott & White Cedar Park West Clinic and has brought a new ADHD test to the Central Texas area to help patients better understand ADHD. The testing is a computerized system that collects data about your ability to control your body, curb impulsive tendencies and respond to images on a computer screen. If I think I may have ADHD, what should I look for? I feel like everyone else is able to juggle life except me. What’s wrong? Sounds like coffee isn’t the best way to help, are there other options? I’ve heard I’ll become a zombie or drug addict if I get medication. Is this true? Can life really get better for those with ADHD, even as an adult? I’m afraid to know if I have ADHD, because I’ll feel like something is wrong with me. For more information, check out the ADHD test available for adults up to age 55.